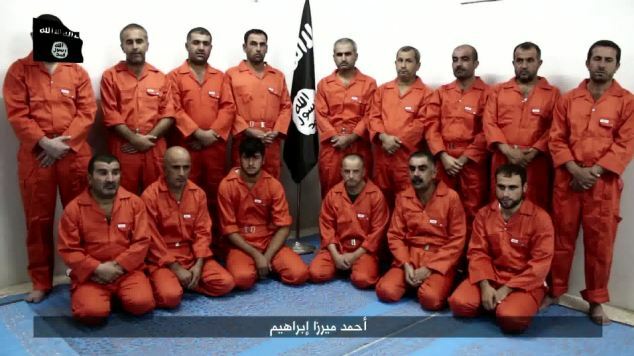 Kurdish fighters waiting to be executed by Islamic State butchers. The mess that Obama has created by going to war against the Syrian government, is getting even messier now that Islamist Turkey is bombing pro-American, anti-ISIS Kurds in Syria. The Kurds have been the only consistent allies the U.S. has had in Syria in fighting against the Islamic State. Yet, the Obama Regime has done almost nothing to help them. Now, the Turks are killing as many Kurds as they can – thus eliminating any real by the Islamic State (ISIL). Turkey, a nation run by Muslim fanatic Tayyip Erdogan, (an Obama friend) has secretly been helping ISIS cross its borders to kill Christians, Kurds, and Syrian soldiers. ISIS recently returned the favor by setting off two bombs in Ankara that killed more than 100 people. Turkey has now decided to start killing ISIS terrorists as well as Kurds. The attacks by Turkey on the Kurds is of great concern to the Religious Freedom Coalition. One of RFC’s Christmas For Refugees programs is operating in Kurdish-held areas of Syria. Read more on the tragedy that Obama has created in Syria for Christians, Kurds, and other religious and ethnic minorities: Turkey Says It Struck Kurdish Forces in Syria – WSJ; Turkey confirms shelling Kurdish fighters in Syria – BBC News; Turkey’s Support for ISIS Islamist Terrorists :: Middle East Forum.